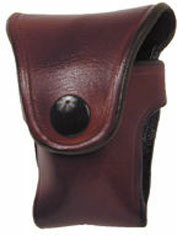 H715-M W.C.-INSIDE THE PANT HOLSTER [H715-M] - $42.80 : Don Hume Leathergoods, Simply the Best! This Inside the Waistband holster is made of lightweight leather and form molded. 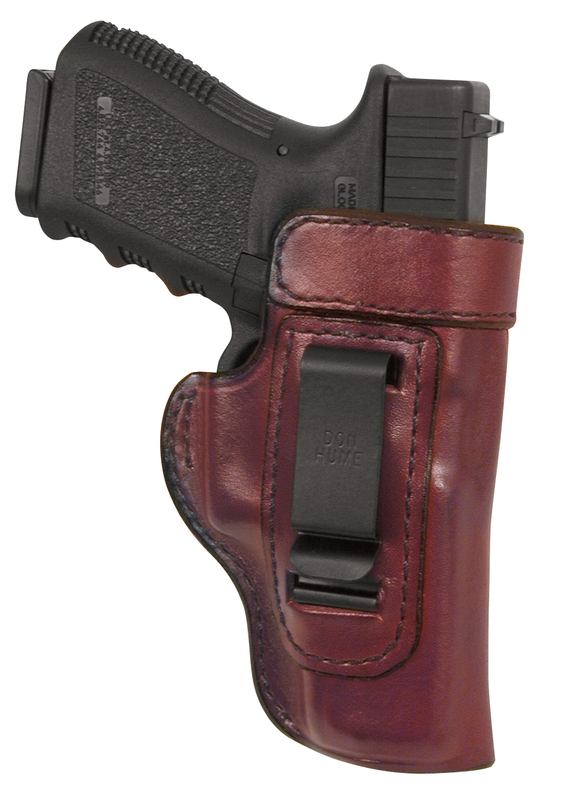 Open top with reinforced mouth band to allow for easy one-handed return to holster. The H715-M W.C. carries the firearm in a neutral cant and can be worn strong side, cross draw, or behind the hip. Features a sturdy spring metal clip that fits belts up to 1 3/4". The H715-M W.C. is our best selling holster for concealment carry. Sturdy Spring Clip, fits belts up to 1 3/4"
I've carried an HK USP Compact in this holster for four years without any problem or complaint. It fits, is easy to use, and keeps my CCW truly concealed at all times. This is the best IWB I own, and I have more than a few. Excellent product guys. This particular product's workmanship is beyond comparison; it is excellent. 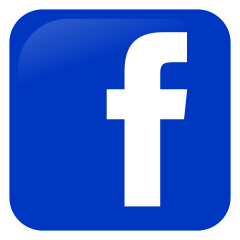 It is the design that is flawed. The top of the clip needs to be flush with the top of the holster. When worn as is, the holster is top heavy and has a tendency to rotate forward or backward; it is not stable. Whether it worn with or without a belt you have the feeling your handgun is not anchored. The difference of the extra 1" or 1.5" will seat the holster beneath the level of the waist band giving the carrier better concealment and greater stability. This holster is quite underrated. I have used this holster to carry a Kahr K9 and recently a Sig P225(P6)for over three years. The draw is smooth and snag free and I have never had the holster withdraw from my pants while drawing the weapon. I can recommend this holster without reservations of any kind.